Here come the Asgardians in Black, and all that you’d remember. 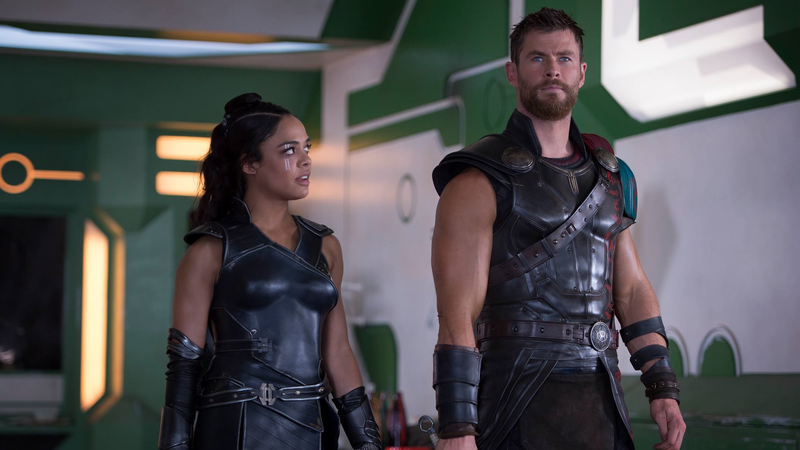 The Thor: Ragnarok gang’s getting back together! Tessa Thompson will star in the Men in Black spinoff, joining Chris Hemsworth to basically create the greatest film of all time. According to The Hollywood Reporter, Thompson and Hemsworth will take on new characters created for the spinoff, meaning this won’t be a hard reboot where they play new versions of Agents K and J. Much of the movie is still a mystery, but THR is reporting that it will be more of an ensemble piece than the original series. Earlier reports said they were looking for an “older man” to fill out the trio—if they bring in Jeff Goldblum, I might lose my freaking mind. The new Men in Black film is being written by Iron Man’s Matt Holloway and Art Marcum, with Fast and the Furious filmmaker F. Gary Gray directing. Steven Spielberg is also onboard as an executive producer. The Men in Black spinoff is set to come out June 14, 2019. How Many Famous Movie Props Can You Spot in This Epic Battle?